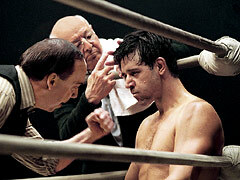 Russell Crowe, Renée Zellweger, and Paul Giamatti find depth and texture in otherwise ordinary roles in this classic boxing film about a down-on-his-luck pug granted a second chance at glory. 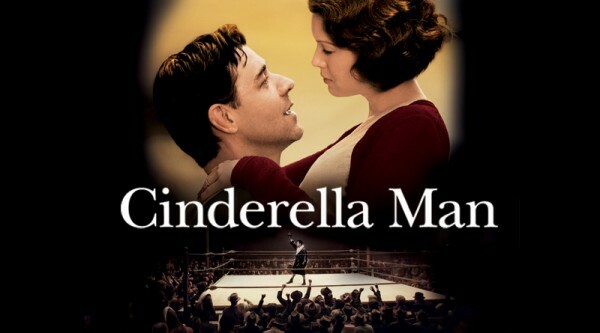 Ron Howard’s meat-and-potatoes “Cinderella Man,” a tale about a meat-and-potatoes underdog, may ring familiar; he does have history in his corner: the true story of James J. Braddock, who went from the soup lines to the heavyweight title in 1935. So who’s in your corner? Who do you trust? Who do you go to for advice and counsel? Do you surround yourself with “yes men” who agree with everything you say? Or worse, do you walk in the counsel of the ungodly? Do you stand in the way of sinners? Do you sit in the seat of the scornful? Who’s in your corner? Who can you can you depend on? Who can you count on when the chips are down? Jesus had 12 disciples, called apostles, in His corner. Of these, he held three in close confidence: Peter, James and John. Ironically, Peter, the leader of the band, notoriously denied his Master three times. Who’s in your corner? David had mighty men of valor in his corner. David had warriors in his corner. David had defenders in his corner. They fought for him. They killed for him. They died for him. At one point three of the roughest and toughest of the bunch broke through enemy lines to fetch a bottle of water for him. So who do you have in your corner? Fanny Crosby penned these words: “Whom have I on earth beside thee? Whom in heaven but thee?” Who do we have in our corner? Jesus. Jesus is in our corner. Jesus fought for us. Jesus destroyed the works of the devil for us. Jesus died for us. Not only so, thankfully God the Father is in our corner. Paul said “If God be for us, who can be against us?” Yes, God the Son is in our corner. Jesus Christ the righteous is in our corner. He will never leave us nor forsake us. And to top it off, God the Holy Spirit is in our corner. “The Comforter has come, the Comforter has come. The Holy Ghost from Heaven. The Father’s promise given” (Frank Bottome). When we’re tired and weak and beat up, we can run to our corner and let our corner man patch us up, encourage us on, and send us back out into the fight to win another round. Make sure you have the right corner man in your corner.